Welcome to the first source for Lannert genealogical information on the net. We encourage all visitors who may have a Lannert family connection to participate and share the heritages of these great families. This research has found many Lannert families in the United States. Almost all have their origins in the Odenwald Mountain region of Hessen, Germany. A few Lannert families emigrated from Northwest Romania and Southern Hungary and settled in New York, Wisconsin, Missouri and Illinois in the 1890-1920s era. Their connections to the German roots still elude us, however! Lannert and Lannerd have also been spelled Leonard! At some point in the mid-1600s, during the aftermath of the Protestant Reformation started by Martin Luther and John Calvin, and the Thirty Years War in Germany, some Lannert families chose to split from the established Catholic religion and join the Protestant reformed religion, most likely Lutheranism. 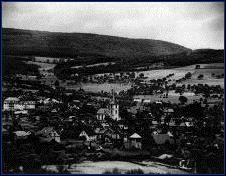 The Lannert families that stayed within the Catholic faith migrated a few miles south to more Catholic familiar areas very near Mörlenbach,Odenwald, Hessen, Germany while the Protestant families remained in the Reichelsheim, Odenwald, Hessen, Germany area. These two areas are less than 15 miles apart. The Protestant and Catholic separation lasted for over 150 years. The ancestors of both families are related. One branch of the Mörlenbach Catholic families settled in Evansville, Indiana in 1853. Most of the family history that was listed here has moved to Ancestry.com. If you have a subscription and would like to know more about these family connections, please see Ancestry.com.